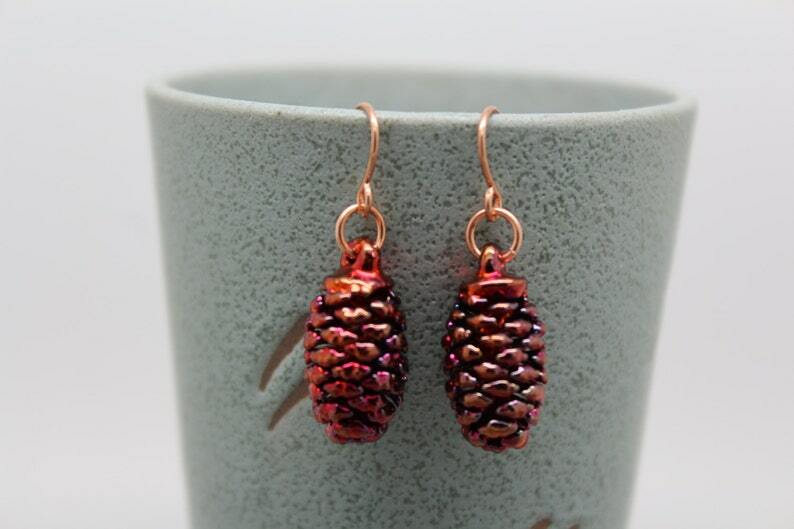 These simple, but elegant earrings feature small iridescent copper cones. 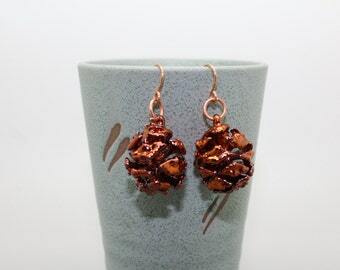 The cones hang from shiny copper earwires. The real cones are hand painted with a copper based paint and then electroformed with iridescent copper. Because each cone is individually painted, no two will be alike, resulting in a unique and beautiful cone that is preserved in pure iridescent copper. Cones are approx 3/8" wide by 3/4" long. 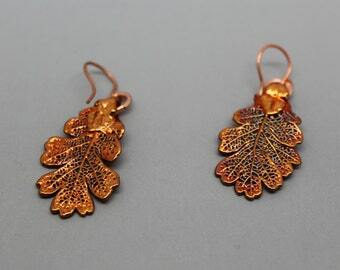 Earrings are approx 1-1/4" from the top of the earwires.